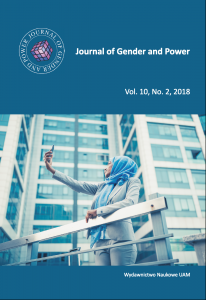 Journal of Gender and Power is a peer-reviewed journal. All submissions are reviewed initially by the editors. The submissions that meet the scientific and journal’s editorial standards are sent out for external reviews. Journal of Gender and Power adheres to the rigorous double-blind reviewing, hence every article will be reviewed by two peer reviewers. The selected reviewers, who are of international reputation and authority, are not the members of the editorial board and are not employed in the institution issuing the journal. To ensure a fair review, articles are never sent out to the reviewers from the authors’ institution. Based on recommendations of the reviewers as well as consultation between the editorial board members, Editor-in-Chief decides whether the paper is published.